If there was any doubts around Wests’ 2019 premiership credentials, a ten try onslaught against last year’s grand finalists has surely put them to rest. The Bulldogs sent a warning to the remainder of the competition with a comprehensive 70-21 victory over UQ at home on Saturday. “It was just one of those days where everything seemed to stick,” Wests coach Pat Byron told Rugby News. The Dogs started the year with two strong victories over Norths and Sunnybank but were disappointing in a top of the table clash against Brothers in round three. While Byron said the side was confident that they could bounce back, even he admitted he was slightly surprised by the way they managed to do so. “Internally we felt like we had something like that in in us. We’d been going okay in the first few rounds but we always thought there was a big performance in us,” he said. Wests’ young stars continue to impress, including 18-year old Carter Gordon who scored a hat trick against the Students. With just one loss in the opening month, Wests are second heading into the Easter break but Byron said that will mean little unless his side can continue their good form moving forward. Jeeps claimed their second straight win with a gritty performance against Souths at Chippsy Wood Oval. 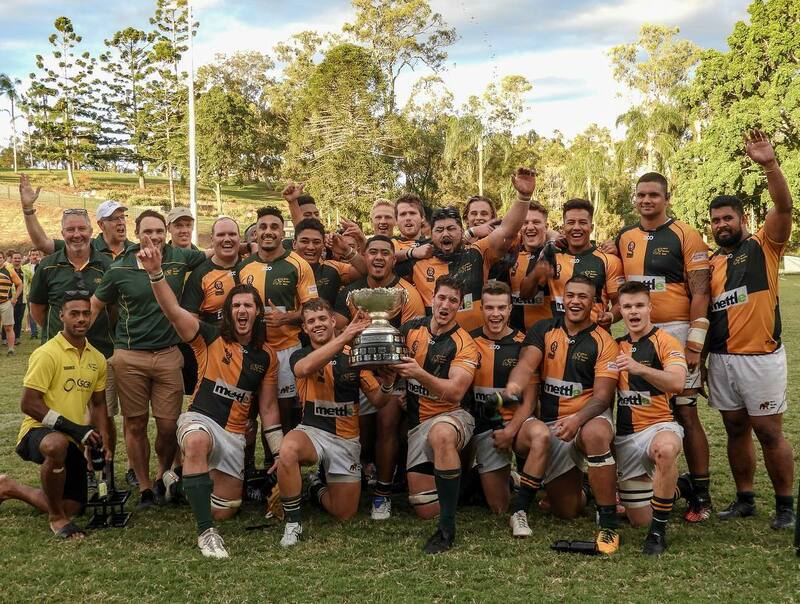 The defending premiers barged over from close range on the stroke of half time to take a 17-7 lead to the break after a tight opening stanza. Souths hit back through Jake Strachan to reduce the deficit to just three points and controlled possession and territory for the majority of the second half. But for the second straight week, Jeeps’ defence held strong in the second half. Tom Kibble claimed a crucial pilfer in the 70th minute to swing momentum back in his side’s favour before Alfonso Horomia scored late to seal the bonus point win. On the Gold Coast, five missed conversions cost Bond victory against Easts. Matt Gordon scored an early double for the Tigers as they raced out to a 20-0 lead and while Bond eventually outscored Easts five tries to four, the Sharks trouble with the tee was costly. A pushover try to Easts in the 70th minute was the final nail in the coffin on a disappointing afternoon for Bond. At Crosby Park, Brothers scored nine tries to continue their unbeaten start to the season. Norths showed plenty of fight in the opening 30 minutes and defended well to trail by just seven, before the Brethren kicked up a gear late in the first half. Lawson Creighton bagged a double and finished the day with 16 points, as excitement continues to build in Albion. Premier Rugby takes a week off over Easter and will return for round five on Saturday April 27.